Home solar panels are “the new granite countertops,” according to Tom Werner, CEO of US-based SunPower, one of the largest solar panel companies in the world. What does that mean? That means that, for an increasing number of new homeowners, solar panels are becoming an add-on right from the beginning. Furthermore, Werner is confident home solar panels will move beyond the “granite countertops phase” to mass adoption rather quickly. If, like me, you’re not that familiar with the granite countertop thing, Bloomberg notes that a lot of new home buyers have decided to pay $5,000 to $10,000 for a granite kitchen countertop that is expected to last longer than a Formica-style countertop and would also be made of natural materials. The thing with solar panels is that you’re probably saving money from Day 1 if you incorporate the solar panel purchase into your mortgage. The solar panels will cut your home’s electricity bill dramatically. You may even get paid a pretty penny when you generate more electricity than you use. And installing the solar panels as part of new home construction is cheaper than adding them onto an existing home (approximately 20% cheaper). Like granite countertops, there is a financial benefit in the long term, but there’s also a financial benefit right from the beginning. SunPower has now supplied over 10,000 homes with solar panels, and about 4,000 of those were built in California last year. Apparently, according to Werner, approximately 20% of all new homes in the state will include solar panels this year. And that percentage is only expected to go up in the coming years. At least 6 of the 10 largest US homebuilders now incorporate solar panels into the construction of some new homes. A couple of cities in California — Lancaster and Sebastopol — actually require solar panels be incorporated into all new homes. Lancaster led the way, but then Sebastopol actually 1-upped Lancaster by requiring solar on all new commercial buildings as well as all new residential buildings. “We’ve picked up at least a dozen new subdivisions since mid-March, and all of them have incorporated it into the cost of construction,” Petersen noted. California is clearly leading the way, but other states are up there as well, and California is actually just #6 when it comes to solar power capacity per capita. The story seems clear: solar power is the future. Indeed, in 13 states, investing in solar panels for your home is (on average) supposed to offer a better ROI than investing in the S&P 500. In 43 states, you get more money back than you would if you put that money into a 5-year CD. We recently found out that, for an average middle-class family that goes the solar leasing route (an extremely popular option where it’s available), the yearly savings come to approximately $600. 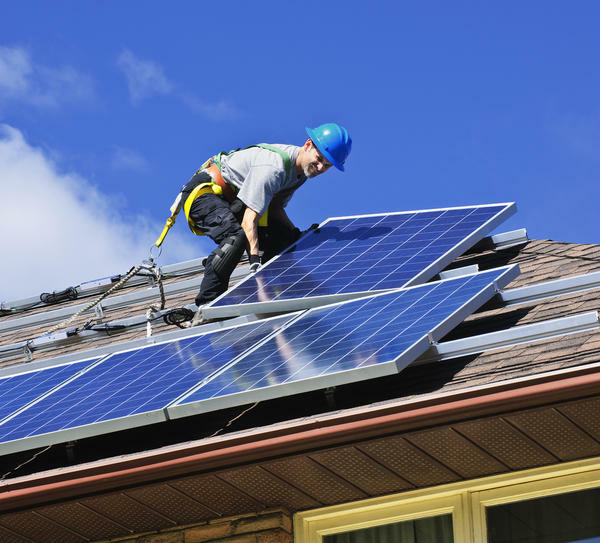 It will take some time for people to catch on to the financial benefits of going solar. But as more and more people do, home solar power growth will likely speed up. At some point, it should hit the disruptive technology “tipping point” that we’ve seen with many other technologies. We’ve seen it happen with cell phones, smartphones, personal computers, laptops, CDs, VCRs, DVD players, and much more. Solar panels will surely have their day in the sun. It’s only a matter of time. We’re already at the beginning of the steep growth curve.